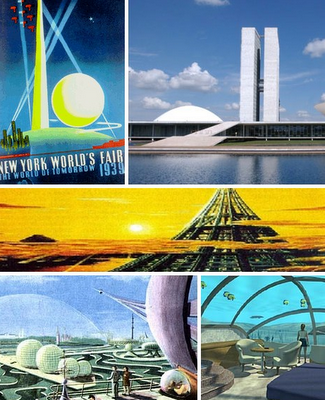 Recently in several discussions of futurism I have discussed the disappointments of failed futurology, and in Synchronicities of Futurism I touched on the ways in which some futurologists themselves see their predictions in unrealistically rosy hindsight even while the rest of us are laughing at how utterly wrong they have been. 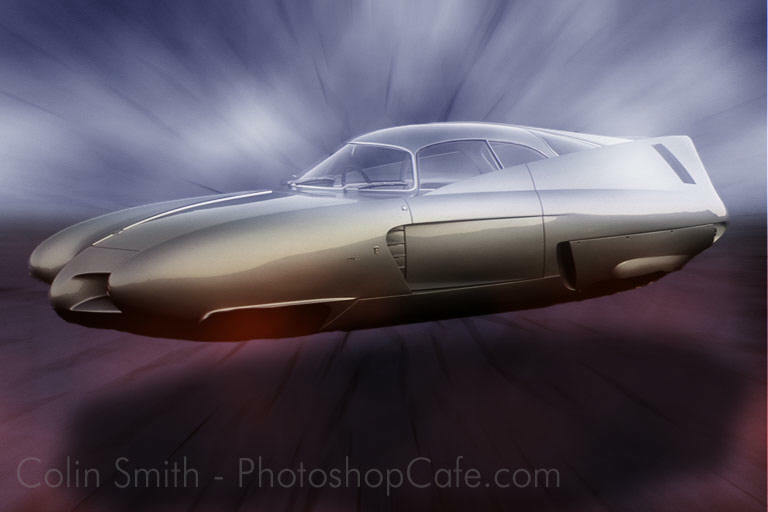 Retro-futurism has become a source of camp humor. In its steampunk and tubepunk forms it is a force in popular culture. Futurology often takes the form of extrapolating particular technologies (this is especially Michio Kaku’s method in The Physics of the Future), and what is most dissatisfying in this is that a linear extrapolation of existing technologies usually gives a very wrong impression of the future by emphasizing technologies that stalled or never reached a mass market, while failing to anticipate technologies that emerged rapidly and changed the ordinary business of life. The futue that hasn't happened... yet. 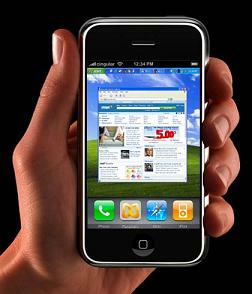 No one predicted the unbiquity of the cell phone, much less the iPhone. In several of my posts on cosmology I have called attention to the ingenious methods employed by astronomers to find and to learn about exoplanets, i.e., planets outside our solar system, orbiting other stars. Most recently this ingenuity has even revealed a planet of extra-galactic origin, which is an exciting development. If you read science fiction novels or watch science fiction films, the idea was always that we would never know anything about exoplanets until we could eventually go there, either ourselves or with a probe. But astronomers have found ways to see things far beyond our solar system, and we can only expect this knowledge to increase with time. By the time we make it out among the stars, we will know well in advance what is out there. Even as I write this innovative ways are being pursued that increase our scientific knowledge of the wider universe even as we remain a planet-bound species. This development of scientific knowledge beyond what we expected in the recent past (by which I mean the late twentieth century) has interesting implications for SETI and the Fermi paradox. An exoplanet discovered orbiting a star in the Helmi stream -- stars now associated with the Milky Way, but which formerly were an independent galaxy -- has demonstrated and planetary systems are not unique to the stars of the Milky Way. We must assume that any peer civilization — and by “peer civilization” I mean some other civilization that has raised itself to a level of industrial-technological development, such that if it is older than human civilization it will be more advanced in its industrial-technological development — has experienced similar developments. What this means in this context is that not only will we know a lot about any extrasolar planets we might explore long before we get to them, but also that any alien species (belonging to a peer civilization) will know a lot about any extrasolar planets that they will explore, and they will know this long before they engage in exploration. The easiet extrasolar planets to find are 'hot Jupiters' -- gas giants very close to a star -- but discovering smaller, rocky planets will become practical as technology and instrumentation improves. Since the conception of SETI as a process of elimination is demonstrating to us a gradual unrolling of the unlikelihood of peer civilizations nearby us in the Milky Way, the longer this process continues, and the larger the human electromagnetic footprint in the Milky Way becomes, the more industrial-technological peer civilizations begin to appear rare. It will be the next step in the technology of discovering extrasolar planets to be able to say whether or not they are likely to host life. Once we reach this level of scientific investigation, the process of elimination can not only eliminate peer industrial-technological civilization, but also peer life. Though the films featuring the 'predator' alien make an effort to exhibit the otherness of the other, the predator alien represents a peer civilization, recognizable as such to us. 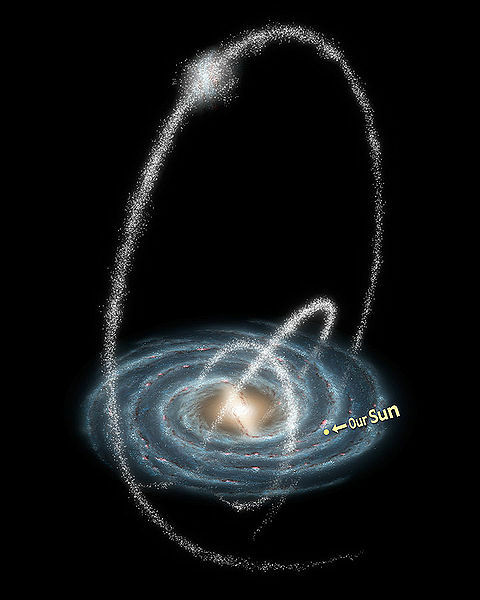 Any advanced peer civilization in the Milky Way will have a surprisingly thorough knowledge of the galaxy before it has the technological means to explore the galaxy in a similarly thorough fashion. Since a peer civilization would be the result of peer or near-peer life, and would therefore be subject to similar (though not identical) ambitions and motivations, we must suppose that such representatives of a peer civilization would have singled out our earth as a place to visit that would likely enjoy a high degree of priority in exploration. Gravitational lensing can be used to view extremely distant objects. 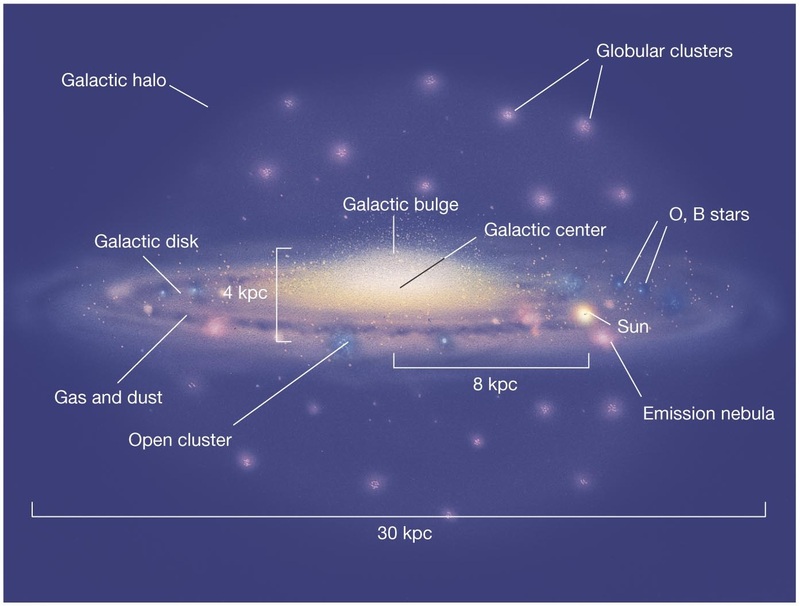 The Milky Way is about 100,000 light-years in diameter, means that if it were possible for an alien peer civilization within the Milky Way to view the earth by means of some long-distance technique like gravitational lensing, the information that they obtain would be no more than 100,000 years old. That is to say, at the outside, they would be able to see the earth at about the same time that homo sapiens branched off from our next-nearest hominid ancestor. That is an outside figure. Any closer observations would yield more recent data. In any case, the earth within the last 100,000 years would betray itself as an island in space positively brimming with life, therefore an interesting place to visit, therefore likely to be an early priority for a peer civilization in its exploration of the Milky Way. Thus we come to the paradoxicality of the Fermi paradox: if there are aliens, where are they? If there are no aliens at all, there is no paradox, but if there are aliens, one must provide some explanation as to why there is no evidence of them. Because of the growth of scientific knowledge that we have experienced in our own civilization, and which would presumably hold for peer industrial-technological species and their civilizations, the burden of explanation increases. If one does not resolve the paradox by denying other industrial-technological civilizations, one must explain why an advanced civilization would not make a priority of exploring a world as brimming with life as the earth. Please see the continuation of this line of thought in Addendum on the Fermi Paradox. The link you give says “The age of the universe and its vast number of stars suggest that if the Earth is typical, extraterrestrial life should be common”. It seems to me that there have been many headline blunders that are due to assumptions that the subject of our attention is ‘typical’. In this case there have also been arguments along the lines of ‘there is at least one planet that has life, therefore the probability of life is not zero, therefore there are huge numbers of planets with life.’ Surely there is no paradox here, just poor logic? I think you will agree that this is an awkward (and not very intuitive) title. As I wrote in the body of the post, one can simply deny the postulate that there is more than one industrial-technological civilization in existence, and in fact many do take this position today. However, there is a more subtle and profound paradox that is lurking in this discussion, and when I can make it fully explicit I will do so, but roughly it is this: contemporary science, driven (at least in part) by the principle of mediocrity, is converging on evidence that suggests the rare earth hypothesis. Thus one is forced to choose between the rare earth hypothesis and the principle of mediocrity, or some reformulation of the principle of mediocrity. But in so choosing, one must either choose against the scientific tradition that brought us to this point, or against the point to which the scientific tradition has brought us. We seemed to be faced with an epistemic dilemma in which, in Wittgenstein’s words, we must cast away the ladder after using it to surmount an obstacle. For my part, I suspect that when science reaches the point of being able to investigate the multiverse that lies beyond the known universe, that the principle of mediocrity will be restored, so that the dilemma simply becomes a question of scale. This assertion is beyond the scope of contemporary science, but it is not beyond the scope of philosophy.